The faculty of Health Sciences consisting of two Faculties which are Basic Medical and Clinical Sciences in 2004 with the cut-off of 220 in JAMB. It consists of various departments which include Veterinary Medicine, Physiology, Pharmacy, Nursing/Nursing Sciences, Anatomy, Medicine, and Surgery. The faculty of Environmental Sciences established in 2013 with the cut-off of 180. It consists of various departments. The faculty of Life Sciences also established in 2013 with the cut-off of 200. It consists of various departments which include Biochemistry, Zoology, Statistics, Plant Biology, Physics, Microbiology, Mathematics, Library And Information Sciences, Industrial Chemistry, Geology, Computer Sciences, Chemistry, and Biology. The faculty of Management Sciences established in 2013 with a cut-off of 200. It consists of various departments. The faculty of Physical Sciences established in 2013 with the cut-off mark of 200. It consists of various departments. The faculty of Social Sciences established in 2013 with the cut-off of 220. It consists of various departments which include Psychology, Political Sciences, Mass Communication, Geography, and Environmental Management, Finance, Economics, Accounting, Sociology and Social Works. The faculty of Communication and Information Sciences established in 2008. It consists of various departments. 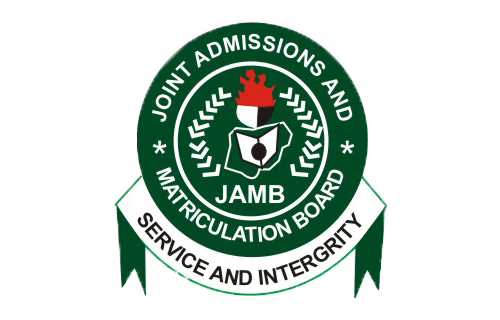 The faculty of Education also established in 1976 with the cut-off of 180 in JAMB. It consists of various departments which includes Technology Education, Social Studies, Primary Education Studies, Human Kinetics, Health Education, Education Technology or Introductory Technology, Educational Management, Education And Social Studies, Education And History, Education And Geography, Education And French, Education And English Language, Education and Chemistry, Education And Biology, Education & Yoruba, Education & Physics, Education & Mathematics, Economics and Education, Adult Education , Education and Islamic Studies, Counseling Education, Education and Christian Religious Studies, Education and Arabic, Computer Education, Business Education, Agricultural Science And Education. Please note, that the competition to study Medicine and Surgery in UNILORIN is high, so try your best to be among the prospective students with the best results. So an average score to gain admission into UNILORIN ranges from 180-220. And also with two other institutes, the Institute of Education and the Unilorin Sugar Research Institute); and the Postgraduate School. These disciplines consist of over 60 academic departments and the undergraduate degree program which runs for a period of 3-5 sometimes 6 years depending on discipline or entry qualifications. UNILORIN was established in 1975 under the decree of the Federal Military Government of OluseguObasanjojo military regime. The institution’s land mass is approximately 5000 hectares one of the largest in Nigeria. It owned tertiary institution of education located The ancient city of Ilorin, the administrative capital of Kwara State of Nigeria. It is also the only Federal University noa t member of Academic Staff Union of Universities. Each semester comprises one half of an academic year as determined by the Senate. Some notable graduates and huge successes are Nollywood actor, Femi Adebayo, Sarah Alade, former acting Governor of Central Bank of Nigeria. Ado J. G. Muhammad, director of the Nigeria’s National Primary Health Care Development Agency (NPHCDA). Aize Obayan, the former Director-General of National Youth Service Corps, the former vice-chancellor, Covenant University and current vice-chancellor of Landmark University, award-winning Nigerian comedic actor, Nkem Owoh, Johnson Bamidele Olawumi, the Registrar Joint Admissions and Matriculation Board, Is-haq Oloyede. All great people produced by the University of Ilorin. 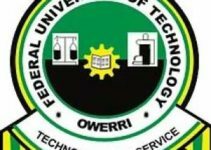 The university also has several Public Units which includes the University Primary School, the University Secondary School, the Science Laboratory Technology, the Library which is involved in rendering service to the University and the public. Medicine and surgery is not just one of the biggest course UNILORIN or in Nigeria but probably also in the world. It consists of various and numerous subfields such as neurosurgery (study/doctor of the brain) and so on. For direct entry, the requirements are: ‘A’ level passes to include Physics, Chemistry Biology/Zoology in addition to UTME requirements BSC, ND/HND/BOS in relevant fields or IJMB First Degree (1st class or 2nd Class Upper. And for UTME the requirements consist of five SSCE credit passes including Mathematics, Chemistry, Biology, Physics and English Language. 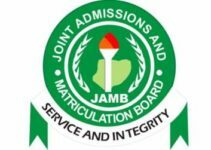 And the jamb combination consists of Biology, Chemistry, and Physics and English Language. All you need to know as regarding UNILORIN also studying medicine and surgery has been clearly explained in the proceeding paragraphs, also the cut off mark and basic requirements of the institution have been clearly defined, we wish you all the best in your endeavors.